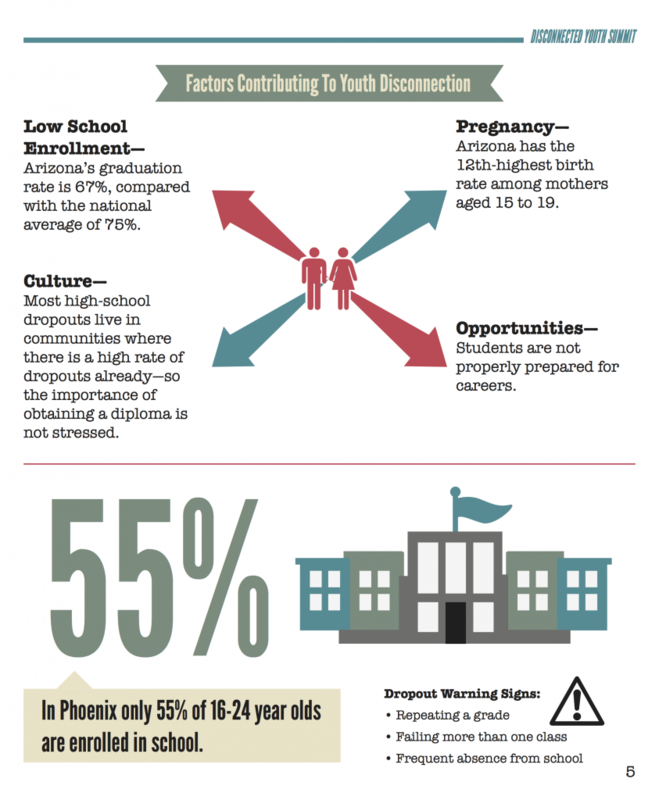 The cycle of civic and social problems that start when teens drop out of high school and fail to get jobs caught the attention of Arizona civic, business, foundation and education leaders, in part because of a recent national report that identified Phoenix as having one of the highest rates of such disconnected youth in the nation. With sobering data as a starting point for discussion, more than 200 people gathered on May 7 at the Disconnected Youth Summit, in Phoenix. The summit, hosted by the Maricopa County Educational Service Agency, explored the problem, its short- and long-term impact on individuals and communities, and successful strategies for re-connecting disconnected youth in Phoenix and elsewhere in Arizona, particularly with educational options. Follow-up meetings will take place Oct. 15, 2014, and Feb. 12, 2015, said Dr. Don Covey, who leads MCESA as Maricopa County’s superintendent of schools. Infographic courtesy of Maricopa County Educational Service Agency. Last fall, Measures for America, which researches and reports on well-being and opportunity in America, identified Phoenix as fourth among major metropolitan areas in the U.S. for disconnection among those between the ages of 16 and 24, with a rate of 17.2 percent or 93,000 young people. That was good news. In 2012, Phoenix was ranked number one at 18.8 percent. “African Americans have the highest disconnection rates at 22.5 percent, but Latino youths are right on their heels at 22.3 percent,” said Kristen Lewis, co-director of Measures of America, and a speaker at the summit. Disconnected youth are three times as likely to be disabled, two and a half times as likely to have dropped out of high school, and twice as likely to be in poverty, she added. 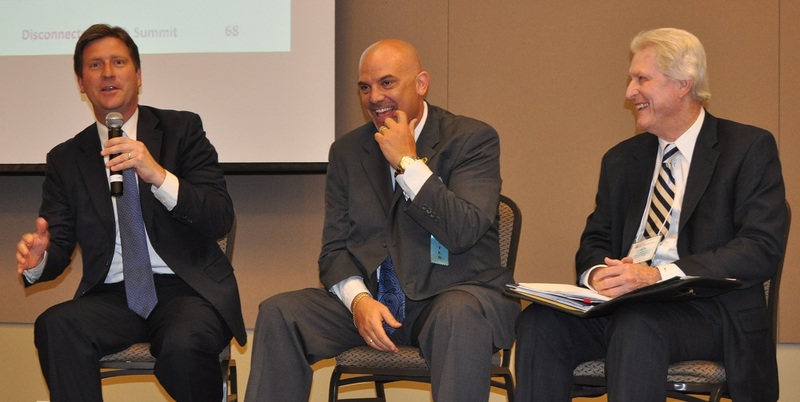 Phoenix Mayor Greg Stanton, left, Phoenix Union High School Superintendent Kent Scribner, center, and Jack Lunsford, right, take part in a roundtable discussion about disconnected youths impact on Phoenix at the Disconnected Youth Summit on May 7, 2014 in Phoenix hosted by Maricopa County Education Service Agency. Measures for America’s latest report, “Halve the Gap by 2030,” found the rates between neighborhoods is much larger than between cities and ethnic groups, Lewis said. 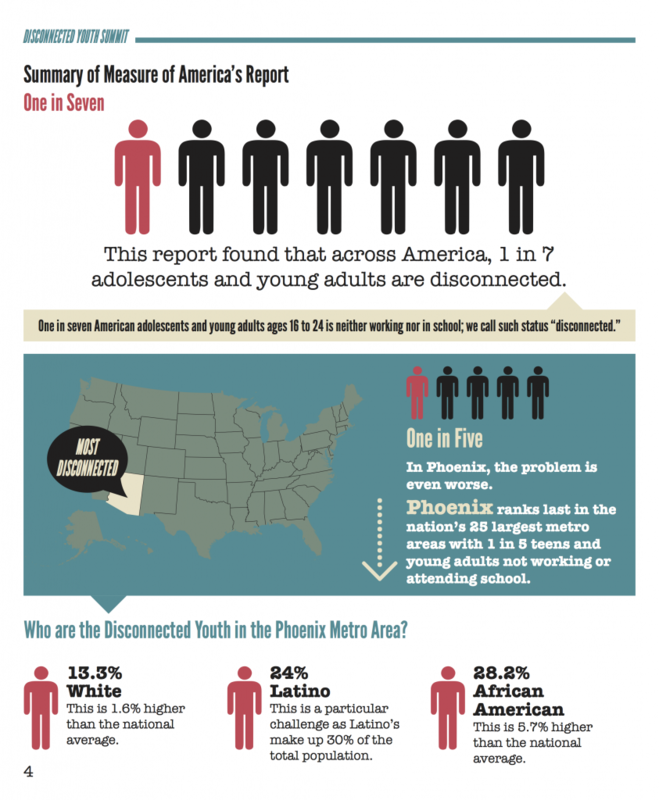 In South Phoenix, for example, nearly one in every three young people, or 31.86 percent, is considered disconnected. Cities pay the cost for disconnection in more crime, costlier social services, reduced tax revenues and less economic competitiveness due to a less skilled workforce, Lewis said. “Youth disconnection affects all of us, and we all have a stake in solving it,” Lewis said. With the help of Helios Education Foundation and WestEd, a group of 10 Arizona mayors from Avondale, Gilbert, Goodyear, Mesa, Miami, Oro Valley, Phoenix, Sahuarita, Tempe and Tucson have formed the Arizona Mayors Education Roundtable to partner with schools to reduce the number of disconnected youth. 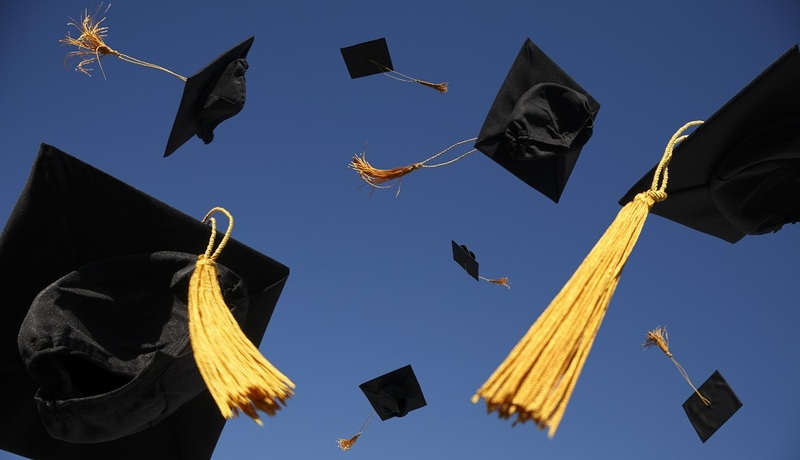 This summer, the group will release a report about the economic impact dropouts and disconnected youth have in Arizona, Stanton said. Mayors “were just stunned” and asked “could these numbers be real” when they saw the first draft of the report that examines the costs of disconnected youth in each city and the state developed by a Columbia University economist and Santa Barbara researcher, said Dr. Paul Koehler, director of policy for WestEd, the non-profit, public research and development agency, that is facilitating the mayors group. “This will give the mayors a way to talk to business and other community members that not only is this a problem for the youth – the individual person – but also for our city and our state economically,” Koehler said. Arizona Republic reporter and summit speaker Eugene Scott brought attention to disconnected youth when he wrote an article on the subject in August 2013. Scott said he just wanted people to care. 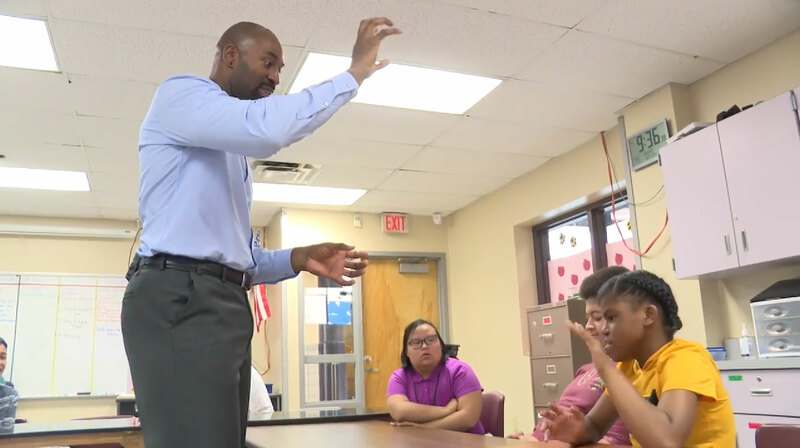 Schools that offer students options like evening classes, weekend classes, online classes, and alternatives to the traditional schedule – like those in Phoenix Union High School District – have the greatest chance of drawing students back to school, Scott said. “Those of us who are very traditional in our mindset of what education looks like need to get rid of that, because the reality of the situation is that system does not work for everyone,” Scott said. Summit presenter Jack Lunsford, an assistant to Mayor Stanton who spent 20 years with Maricopa Community Colleges advocating for workforce development, said a shift in thinking is required. Schools must see students as “great assets who can be invested in” instead of “problems that need to be fixed,” summit speaker Kent Scribner, superintendent of Phoenix Union High School District, told attendees. In Phoenix Union, 94 percent of students are minority and 80 percent live at or below the federal poverty line, Scribner said. “When you look at census tract data over many decades you will find that Phoenix Union student demographics are about a 10-year precursor to the City of Phoenix demographics, which in turn are about a 10-year precursor to the State of Arizona,” Scribner said. Fortune 500 companies say they want to hire bilingual, bi-cultural, resilient, and collaborative employees, Scribner said. Making sure those students stay connected to school is a top priority. That vision guided the turnaround of the school with the district’s lowest achievement levels. Gestson built an advisory period into the school day and paired each student with three adults to develop more personal relationships between students and staff. He also required each student to join a club, do community service, attend 20 school events a year, and either tutor other students or receive tutoring. Since then, nearly 30 new clubs were organized, staff received training in customer service from Ritz Carlton staff, and a college-style commons was developed where students could relax and socialize after school. Students can study or do research at the school library which is open until 6 p.m. each school day, find financial aid at the scholarship center, and relax with friends at a sand volleyball court. Before the changes, 1,100 of Camelback’s 1,800 students had Fs and only 300 students would have qualified for honor roll. Two years after the changes, only 300 students had Fs, and 600 students were on honor roll, Gestson said. Help from volunteers, the community and Social Venture Partners, a network of business professionals that pool their philanthropic dollars but also give their time and talent, made the change possible. Chandler Unified School District’s partnership with ICAN, a nonprofit that provides free youth programs, was also shared with summit attendees. The partnership led to the opening of Chief Hill Learning Academy, a non-traditional school for students who are at risk of or have dropped out, said Dr. Craig Gilbert, assistant superintendent of Chandler Unified. Classes started in last July with five students two classrooms of ICAN’s Lori E. Hoeye Youth Center, home to an afterschool program for 250 K-12 students. By December there were more than 30 students, said Jennifer Chandler, program director. 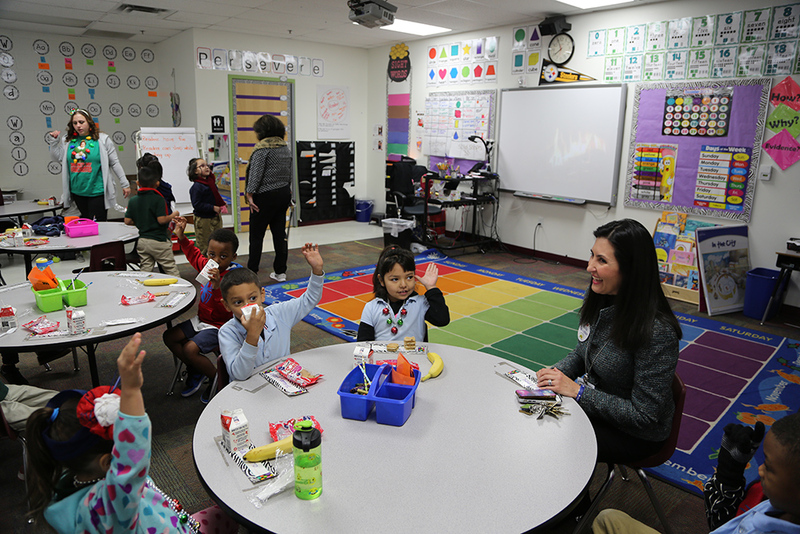 Chandler said she gets to know students and their families during an initial meeting with in-depth discussion about what brings them to the school and they develop goals in four areas: personal, family, academic and post-secondary. 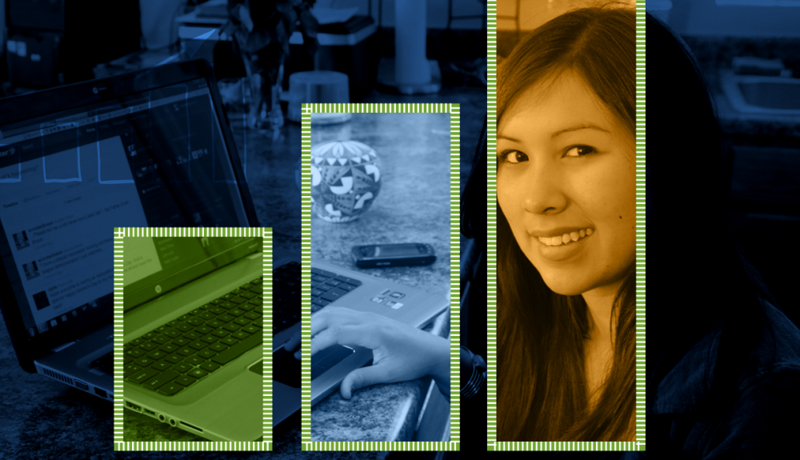 Students use computer-based courses to progress at their own pace, work with instructors on complex content, and use life skills they learn from ICAN at school, home and work, Chandler said. In addition to successful Arizona programs, summit attendees also heard about models finding success elsewhere in the nation, including the work of Big Picture Learning, a non-profit organization that over the past 20 years has re-engaged thousands of disconnected youth in the U.S. and around the world. Big Picture’s work, cited by summit presenter Dr. Charles Mojkowski, co-author of Leaving to Learn, focuses on involving students in real-world projects, guided by mentors and based on students’ interests. As they talked to kids, Mojkowski and his co-author Elliot Washor learned that many young people feel they don’t matter in school and disagree with how school assesses their work, Mojkowski said. “Young people find schools very hard to use for their learning, they also feel that they have no voice in what is designed and they feel that their talents are being wasted,” Mojkowski said. Big Picture Schools, which started in 1995 with one school in Rhode Island and has grown to 100 schools worldwide, built their program on 10 expectations students have for school: Relationships, relevance, time, timing, play, practice, choice, challenge, authenticity, and application. Now Big Picture Schools is working with other schools to help them incorporate parts of their program, Mojkowski said.